If you have a relationship with an advertising vendor and you introduce us to that vendor, and we sign an advertising deal with that vendor, we will give you 10 percent on top of the deal as a finder’s fee for one year. 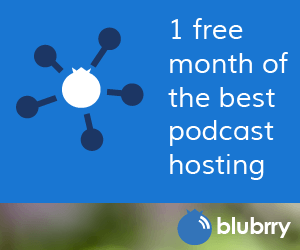 With more than 19,000 shows on Blubrry.com, your networks or personal and business relationships could literally span the globe. We understand the power of networking and we want you to profit for being part of our community. The RawVoice team wants to encourage our community members to think about the possibilities. We will keep you in the loop on any discussions with the vendor. We want you to be actively involved as you have an established relationship with the vendor. You can share with us what has worked for your show so we can implement it on the larger campaign. Since 2006, community members have earned finder’s fees from RawVoice that have proved to be very rewarding. Drop Todd an e-mail at ceo@rawvoice.com and he will call you to talk about how you can earn extra dollars through a simple introduction.